UO Chemistry and Biochemistry Professor Emeritus David Herrick passed away November 15, 2017. 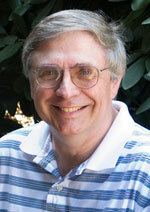 David joined the department in 1975 and served as department head from 1987-1993, before retiring in 2012. He was a dedicated instructor, and taught General Chemistry for most of his years with the department. David enjoyed teaching, and tried to make a tough class fun for his students. His research focused on theoretical chemistry and chemical physics, with emphasis on novel approaches to issues involving atomic and molecular structure. He was a member of the UO Institute of Theoretical Science. David enjoyed playing the piano at various university events, and will be remembered as an integral part of the department’s annual Holiday Dinner, providing us with seasonal music on piano for nearly 40 years. I just discovered this. Thank you for the nice tribute for David.